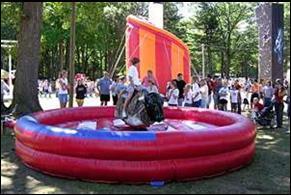 Amazing Amusements is Jacksonville’s premier provider of inflatable fun and mechanical rides for any event! 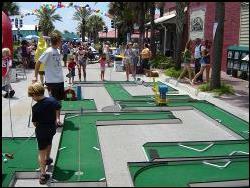 We also carry carnival games and specialty items, concession machines, even a Ferris Wheel and 9-Hole miniature golf course! 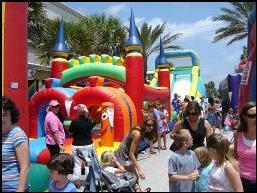 At Amazing Amusements we combine the best variety of inventory to fulfill the expectations of nearly any party or event planner. If this type of event is new to you, feel free to call anytime and speak to our in-house event coordinator. This free service will ensure that your event will go smoothly, efficiently and unforgettably! We deliver, set up the units and provide attendants for larger events. Our installers have years of experience with nearly every kind of facility or surface, ensuring that your event will commence in the most timely and organized way possible. One of our most Popular rentals! Giant 16’ Movie Screen for Movies, Football Games, UFC Fights, Whatever! Call or click picture for details! 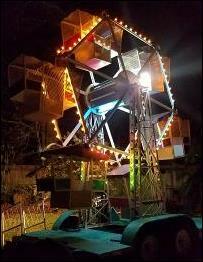 This is an amazing real Carnival Ferris Wheel! With 6 cars an up to 12 riders this beauty will make any carnival themed event complete. 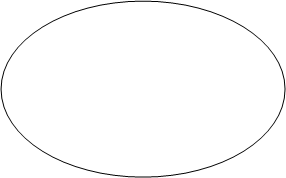 Click for more info about the Ferris Wheel. 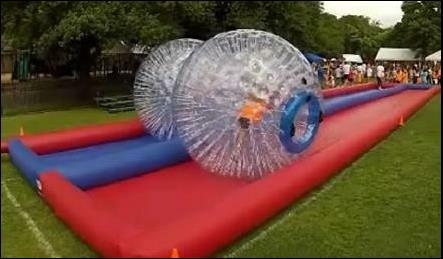 To find out about our amazing inflatables, rides, games and all of our other products, click a picture below or one of the links to the right! 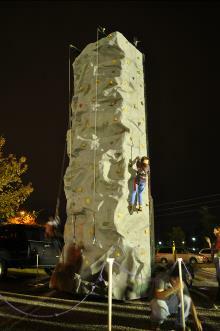 We now have a Rock Climbing Wall, Trackless Train, Mechanical Bull and Bouncy Boxing! Check out our latest and coolest new items! 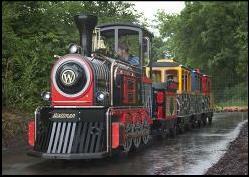 We are extremely proud to announce the addition of this Amazing Wattman Electric Trackless Train to our Fleet! This trackless train has everything! Lights, real train sounds, “wheels in motion” so all the wheels spin, bells, whistles, and a PA system as well as music in every car! Holds up to 24 kids or 18 adults and kids together. No exhaust fumes, no loud engine noise these trains are 100% electric so this train can run inside or out, rain or shine. Wattman makes one of the finest and safest trackless trains in north America. Available now for rent anywhere in north Florida! Call us at 904-545-8112 for details or reservations! Click the pictures for more information on these amazing rides! crazy fun. 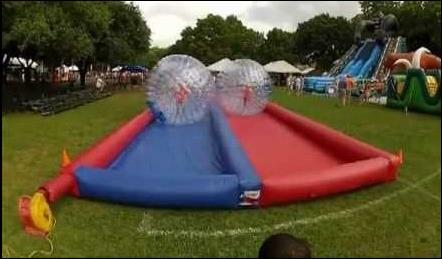 Excellent for large events, carnivals, and festivals. 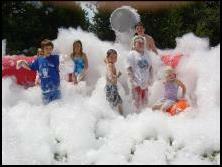 We now carry incredible commercial foam machines and pits! 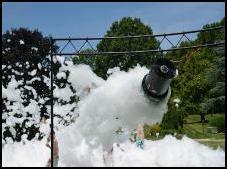 We can even make a water slide a foam filled fun slide! 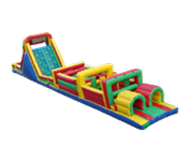 This amazing climbing device has a 2 station rock wall, three station monkey jump, 8 level spider climb and giant 24 foot spiral slide! 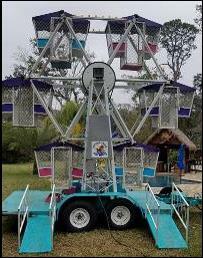 Our newest device is excellent for large events as we can entertain up to 14 kids at once on this one ride! Incredible fun and lots of different activities in a smaller space than 4 separate units. Only takes approx. 45 x 65 feet of space!